Bert Jabin Yacht Yard offers a full menu of services tailored to the racing class sailor. Our highly experienced staff is here to help boat owners or their contractors with any racing need, whether it’s offloading and loading boats from transport trucks, cradle construction and assembly, mast stepping and unstepping, keel removal and installation, or any other commissioning or decommissioning tasks. 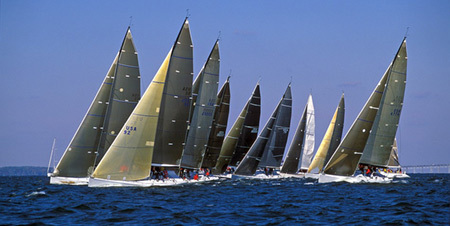 Dry Sailing service is available for most race boats. For more information, please contact us.